For some reason, Bristol has had some of the best weather in the country this summer. Hazy days, followed by humid nights have made us feel pretty good. Also, just a little bit special, particularly when hearing about other, less sunshine-y parts of the country. There has been a definite downside though. It starts with the sneezing. The endless, snuffly sneezing. Then come the itchy eyes, and the general cold-like grogginess. Oh yes, it's hay fever season and don't we know it! 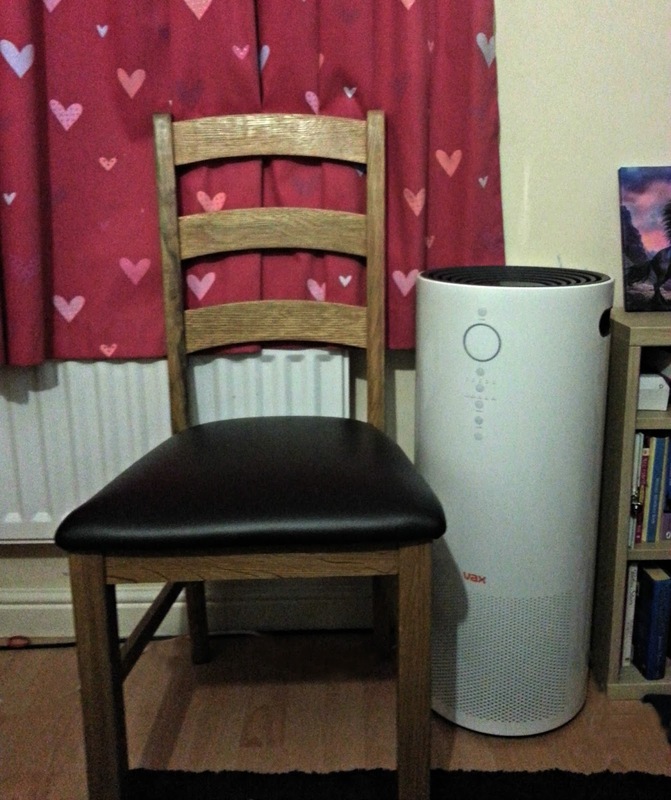 This year, though, we were offered a Vax Pure Air 300 to review. Read on to find out how it coped with the pollen onslaught. Firstly, this is not a small unit. However, it is perfectly formed. If you want something to perform a big job, it is probably going to have to be a reasonable size, but this one is a very convenient shape. Although it's floorstanding, it is 29cm across, so it's mostly height and can nestle neatly in a corner, or under a desk, without much drama. Here's a photo of it in my daughter's room, next to a chair for scale. The unit has straightforward controls, easily accessible on the front of the machine, and a very handy remote control. 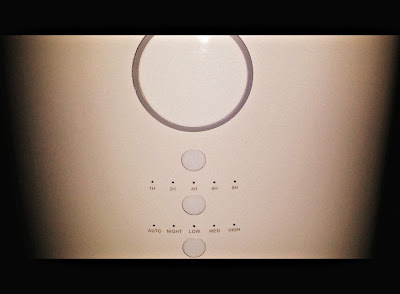 I like the modern, flush look of the unit, and the easy to read buttons. The instructions were easy to understand and, even if you can't remember everything straightaway, the controls are pretty self-explanatory. What impressed me most about the Vax Pure Air 300 Purifier, is that it doesn't just remove polluted air, it cleans it and blows it back out as clean, purified air. Within about twenty minutes of using the machine, we noticed a change in the atmosphere of the room. It was cooler and fresher and the stuffiness, from having to have the windows closed, was gone. With the unit in place, it was possible to have the windows open, because it reacts to changes in the air and increases the filtration intensity automatically. 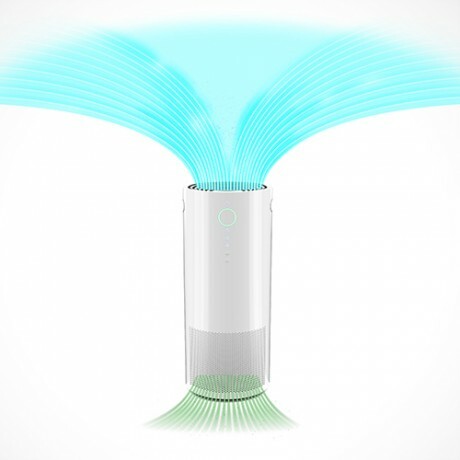 If it detects pollutants, the indicator light changes colour, so you can see that it's doing its job. The unit can clean air in rooms up to an impressive 120 square metres and we found that, if you left the doors open, it would improve the quality of the air in the surrounding rooms. I am really, really pleased with this item. 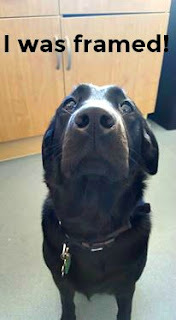 It has caused massive improvements in Jade's hayfever, meaning she can open the windows on a hot day, without instantly being wracked with uncontrollable sneezes and other symptoms. I have also found many other uses for it. Every teenage boy in the land needs one in their room, for the sanity of everyone else in the house, and it would be great to leave next to the dog's basket too. The purifier has a sleep mode and five different speed settings. On its lowest setting it's really quiet, almost undetectable, then it gets gradually louder with each increase in intensity, although even the loudest setting isn't particularly invasive. As I said before, in auto mode, the unit will detect and attempt to eradicate pollution in the atmosphere. The light will turn red and it will get significantly louder as if thrown into a mild panic. Basically, and there's really no delicate way to put this, it has a built in, and very efficient, fart detector. So, if you are prone to attempting to release gas quietly and discreetly, it will probably rat you out. Perhaps, on purchase, you should also invest in a dog to blame any unfortunate emissions on. 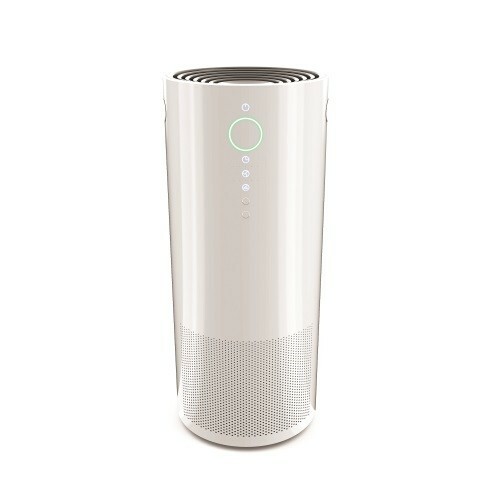 Disclaimer: We were sent the Vax Pure Air 300 Air Purifier free to review, all opinions are our own. Except Mabel's. The jury is still out on whether it was her or not! Haha, like the 'invest in a dog'. 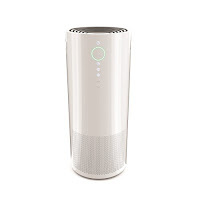 I think we will check out the Air Purifier, we have an air conditioning unit but it's massive and noisy this might be more useful & a good replacement.